The American Sportfishing Association (ASA), along with a coalition of leaders in the recreational fishing and boating community, are pleased to announce that striped and black (largemouth and smallmouth) bass, important sportfish species in California, won't be targeted for eradication as invasive species in the Sacramento-San Joaquin Delta and its tributaries. The opposing coalition, composed of the American Sportfishing Association, B.A.S.S., California Sportfishing League, Coastal Conservation Association California, Coastside Fishing Club, Congressional Sportsmen's Foundation, Fishing League Worldwide, the National Marine Manufacturers Association and Water4Fish, sent a joint letter opposing the petition. "Our coalition had science on our side and we were able to show the Fish and Wildlife Commission that all fish need water and this was simply a water grab that sought to make striped bass and largemouth and smallmouth bass the scapegoats for the status of salmon stocks," said ASA Government Affairs Vice President Scott Gudes. Representing millions of sportsmen and women nationwide, including tens of thousands in California, the coalition engaged their supporters who sent a clear message to the Commission that this was a water issue, not a fish issue. "This is a real victory for anglers. But we need to be vigilant. No doubt the agricultural industry that pushed this proposal will be back. 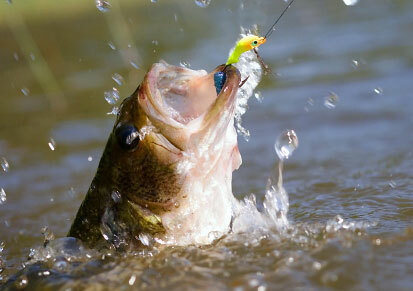 Anglers need to stay unified," concluded Gudes. The Coalition for Sustainable Delta, California Chamber of Commerce, California Farm Bureau Federation, Kern County Water Agency, Metropolitan Water District of Southern California, Northern California Water Association, San Joaquin Tributaries Authority, Southern California Water Committee, State Water Contractors and Western Growers were the petitioners.